I've never used them until now, but at first glance Gavan looks like an excellent pilot. Don't know about Joseph though. 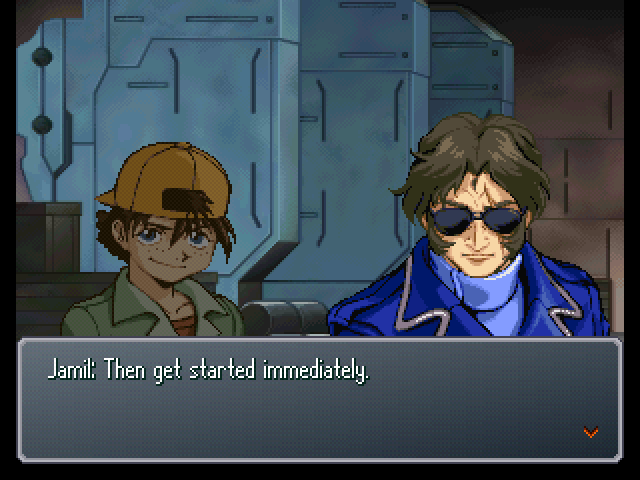 Since you guys have voted for it, We will be starting the Gundam X route now. : Alright, you take care of the rest. : And this is where he told us to go, right? What's this wasteland got to offer? 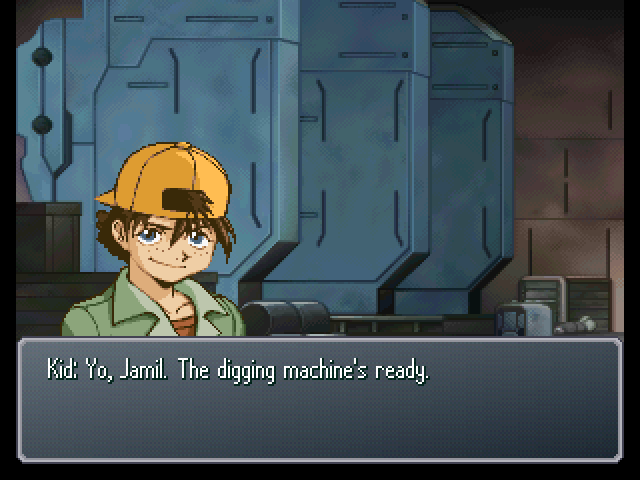 : Could he be planning to dig up some Mobile Suits? : If he was, Kid would've had the digging equipment ready. : The Captain said the Galians wouldn't really cross the ocean, didn't he? : And to oppose them, they're digging Mobile Suits out from the mountains? : That's the way things sound, from what the Captain said. : My handmande ultra-magnetic jamming device is working perfectly. : By the way, what are they doing? : Then let's finish filtering the dust from our machines. : So that's the ship where that girl is being held... Alrighty... Let's see if I can sneak in while it's stopped. : Eh! Come on, I'm all icky and sweaty! : Quit it. What are you going to do if someone sees you half-naked out here? : Aw, it'll be fine! There's no one around! : (.........) They're gone... Phew... That could've been pretty sweet, though. Oh yeah, speaking of sweet stuff! 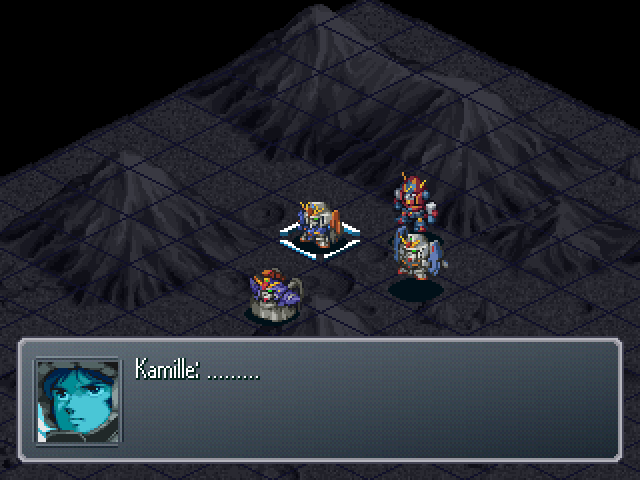 : What's this... A mobile suit control unit? Eh, whatever, better than nothing. Now then... I'd better get this job done. : Tell me one thing, though. What're we trying to dig up out here, exactly? 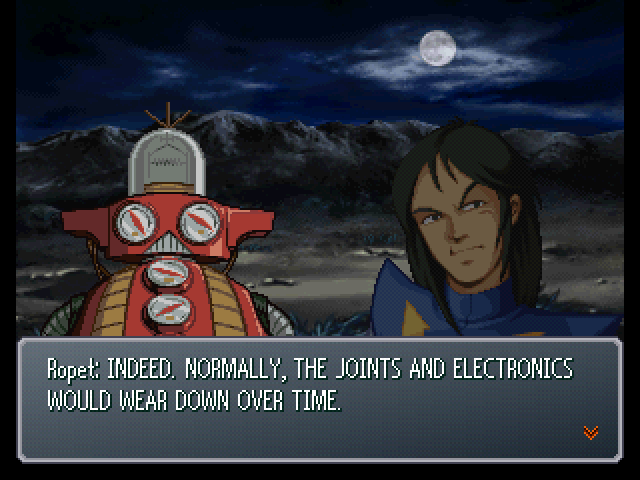 : This isn't a mountain cycle, so I don't think we'll find any mobile suits here. 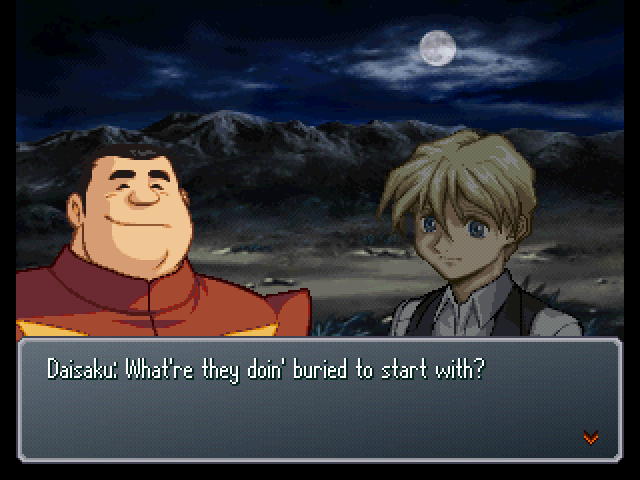 : ...Fine, but I wanna hear your reasons once we dig the treasure up! 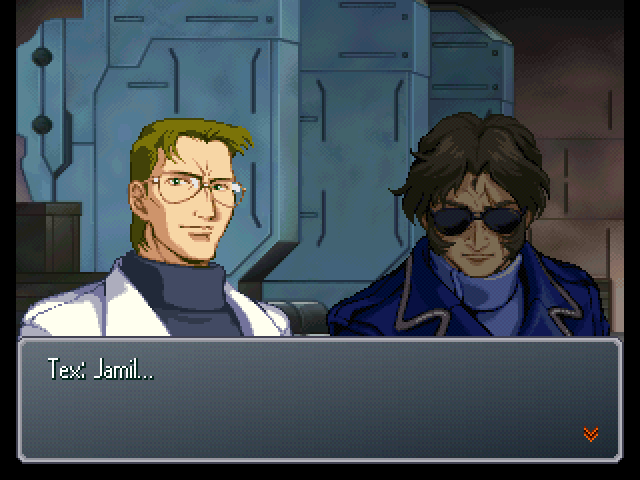 Kid leaves as someone walks up to Jamil. : I hope we find it this time. : ...Do you think it's here? 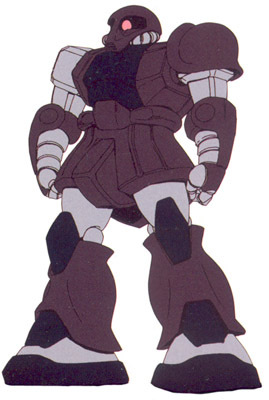 : ...Many of that unit went missing in the last war. This used to be a major Innocent stronghold, too. : I see. That wasn't the case the other times. 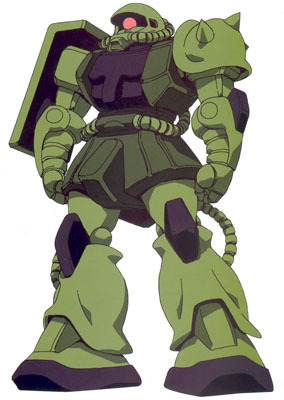 : ...It's one of the mobile suits labelled X, the ones feared the most by the Innocent... 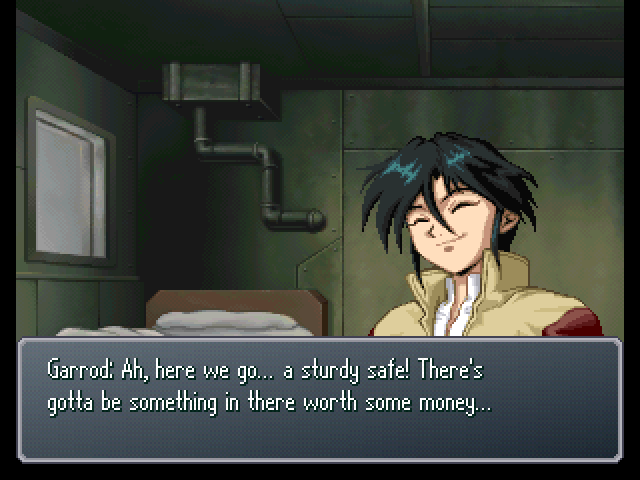 If they managed to recover it, it's very likely that with the upcoming battles in mind... They would have preserved it and analyzed it at one of their major strongholds. 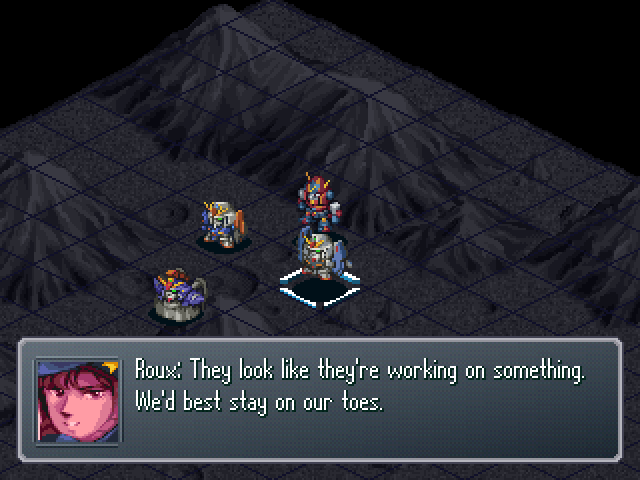 : The Innocent have already managed to dig up mobile suits used in the last war, too. : (.........) I've searched for 15 years... This time, I'll find it. 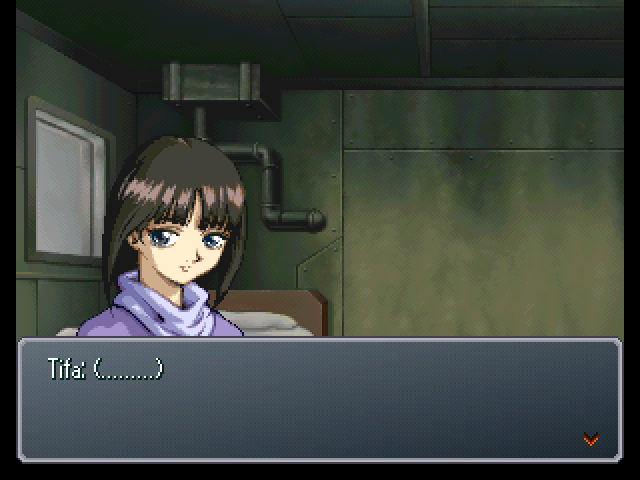 : N-no, I'm not... Er... that is...! : I'm here to save you! Yeah, that's it! : ...I'm really here to save you. : I've taken care of the area around the thrusters. 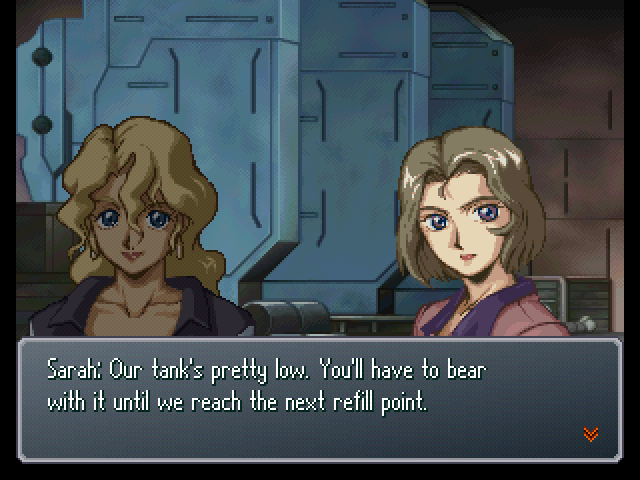 : No problems on my side with the Battle Machines, either. : Sorry that took so long. : Sorry for sticking you with recon duty. : No, it's alright. 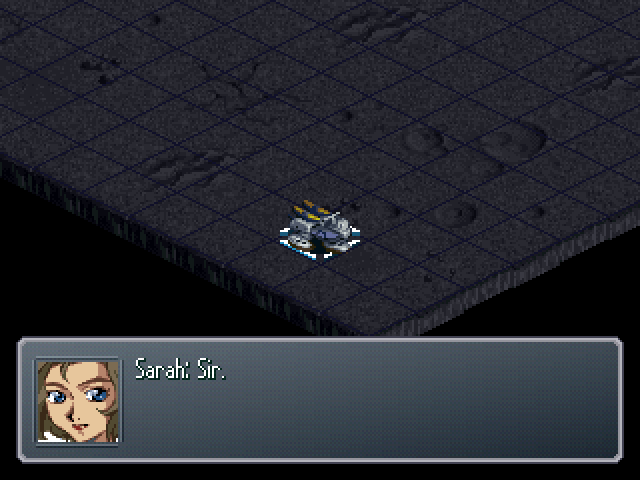 My Sandrock is well-suited to arid climate regions, and it's good at picking up enemies, too. 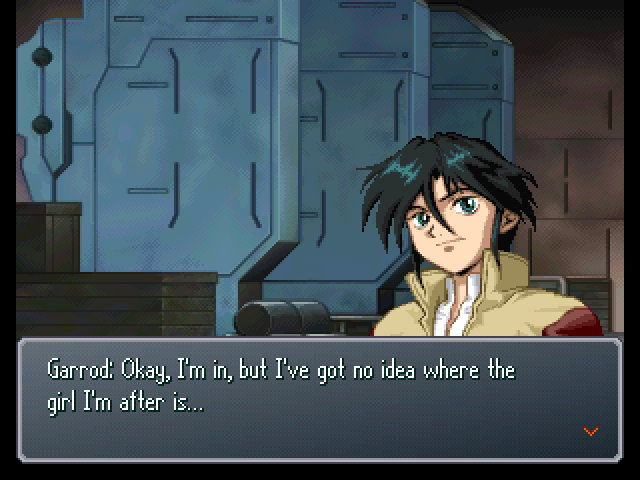 : So, did you find anything out? : There was a town 50 kilometers north of here, but I couldn't find any info about any of the others. 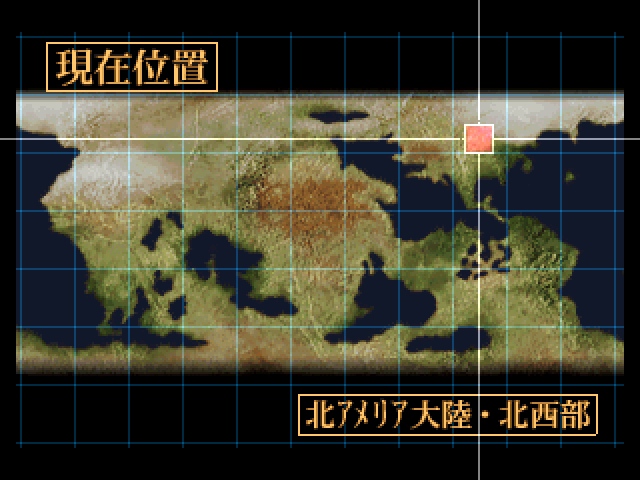 : Maybe they're not around this area...? : Find out anything else? : (.........) ...You might not believe me when I say this, but... There are mobile suits being dug up all over the place. : Yes. 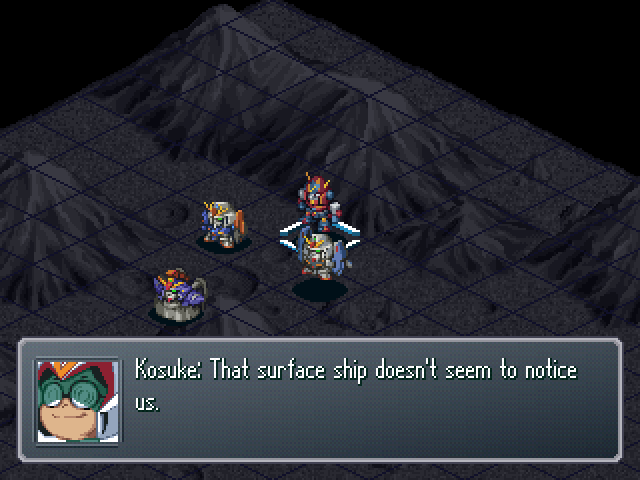 I didn't confirm it for myself, but I clearly heard the phrase mobile suits. : They're not exactly fossils... What's the deal here? 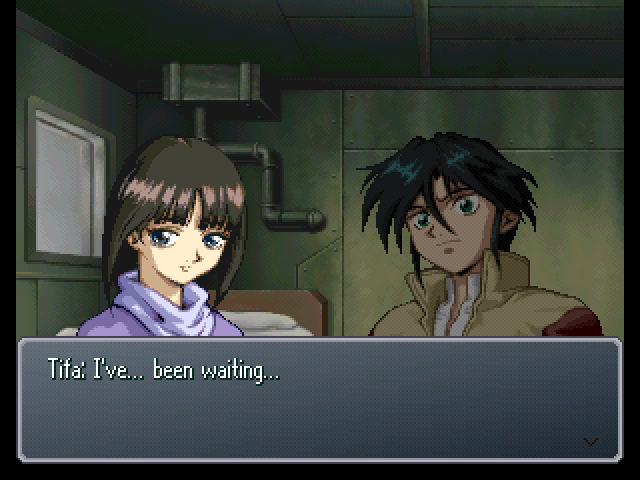 : That we're in the future...? : So, you're saying we've jumped through time!? : It's hard to believe, but... I think it's entirely possible. : Assuming that's true, how many years away could this be...? : Are we going to be stuck here forever...? 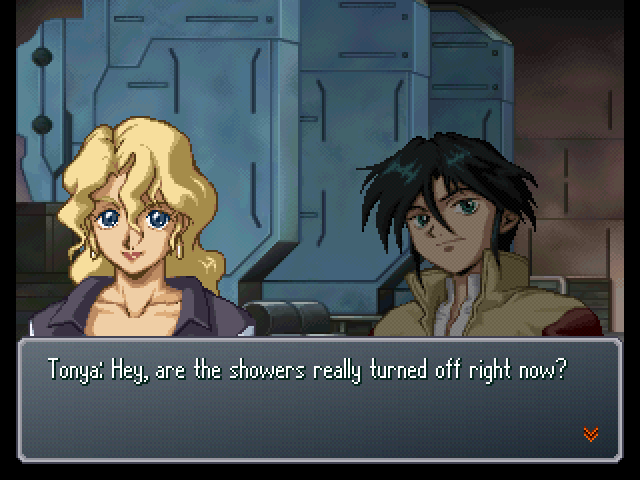 : (.........) Well, nothing we can do about that. For now, let's focus on finding the others first. Once we do that, we should be able to find a way back to our own time soon enough. : Hey, Juuzou. What's with that look? You got a problem? 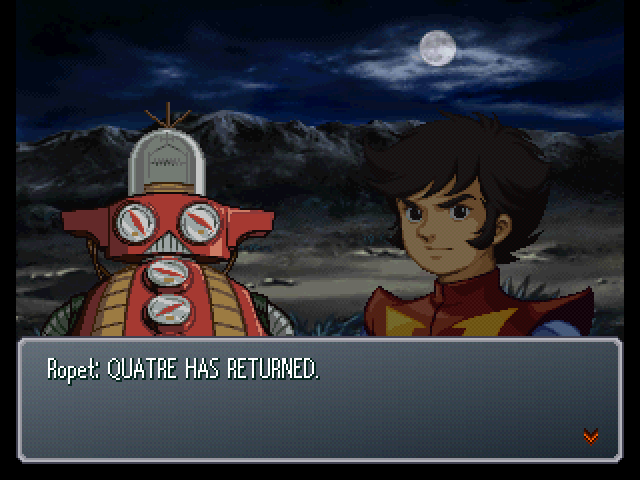 : Leaving out super robots like Raideen... Can you even USE mobile suits that you drag out of the ground after being buried so long? : Wouldn't they be well-preserved? : There's also the dinosaur empire plant to consider. 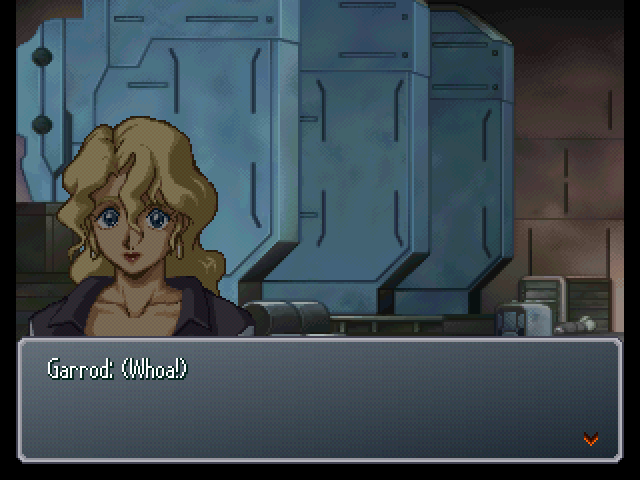 Suddenly, unknown mechs fly overhead! : Something flew by overhead! 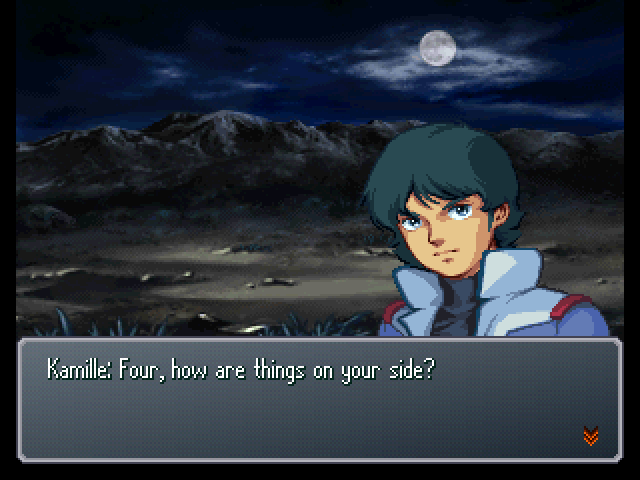 : Those silhouettes are... mobile suits? But, they're types I've never seen before. 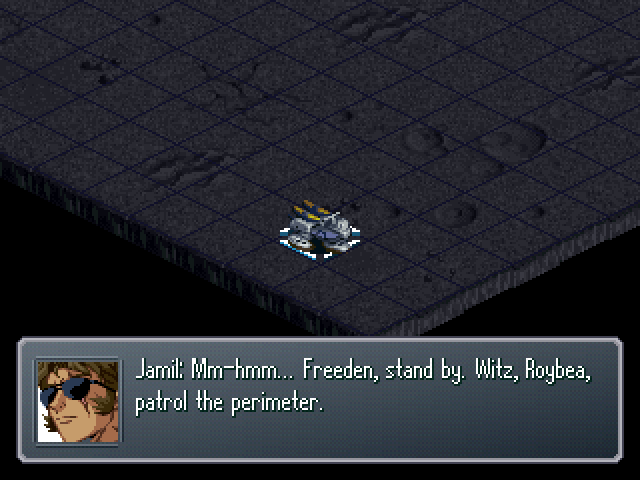 : They could be attacking that groundship...!